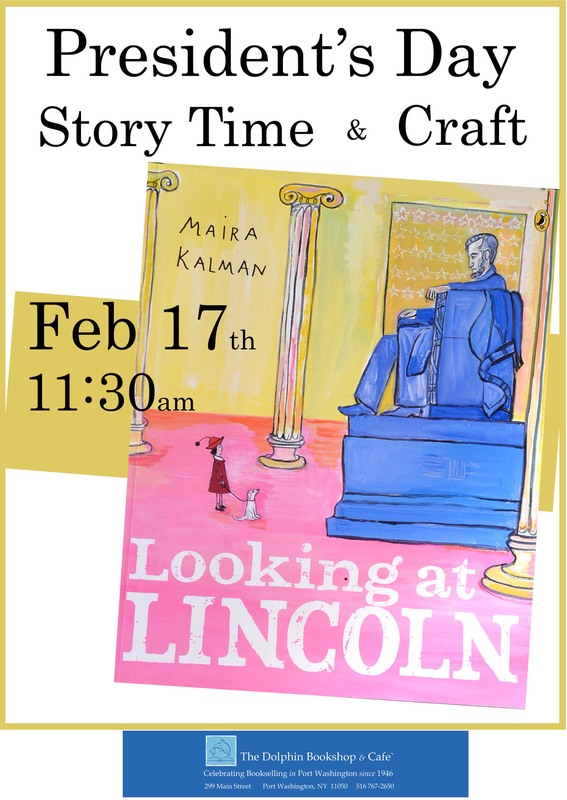 Sunday Morning Story Time & Craft at The Dolphin Bookshop Presents: A President’s Day reading of “Looking at Lincoln” by Maira Kalman. Who was Lincoln really? When a little girl wants to find out she discovers, among other things, that our sixteenth president was a man who believed in freedom for all, had a dog named Fido, loved Mozart, apples, and his wife’s vanilla cake… A fun craft for all children.